When you get online and perform a search about “Forex Broker Scams”, you will get staggering results on Google or any other search engine. Forex is a very popular financial market and there are many unscrupulous merchants who are in the business of deceiving innocent traders and swindling their money. It will be to the best of your interests to stay aloof from such dubious brokerage firms. For better growth and success in this financial industry, it is important that you must be able to differentiate between a reliable and thug brokers. If you are an aspiring trader it would be quite difficult on your part to assess the credibility of a given merchant. So understand your present needs, we have strived to offer you the best information over here. Below is a comprehensive guide that can help you detect a fraudulent brokerage firm and stay aloof from scams. They run a fake website accepting deposits and then running away with money. They charge excessive fees in the form of commissions or variable spreads. They charge a high processing fee if you want to withdraw funds from the account. 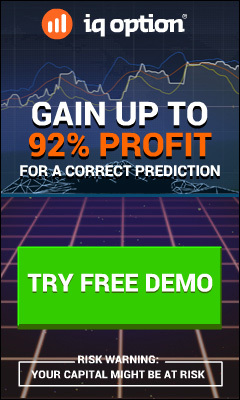 They would always encourage you to invest large amounts of Forex trading. They manipulate stop loss orders and ignore buy sell orders to maximize their own profits. On this blog over here we offer you a list of major brokerage firms that you should never enter into trading for your Forex investment. The reason being there have been numerous cases when the broker has embroiled itself in some sort of scandal. Also, there are instances when the trader concerned has reported that the broker does not permit withdrawal or resorted to unfair trading by charging unreasonable commission or variable spreads. We welcome you to share your feedback or bad experiences you had if any in the past with your broker. It can help a long way in educating other readers and help them from running into with those merchants. What to Do When Stuck with a Bad Forex Broker? Read all the terms conditions and other documents related to your financial trade in order to find out that your broker is wrong. If you have failed to read any part of the document after signing, you yourself will be blamed for this irresponsible behavior. You should be real stern with your merchant and treat them the point of actions you can take if the broker does not adhere to proper trade guidelines. You can take aggressive steps like posting bad remarks about the broker online and report a scam to reputable forum websites. If still, you are having a tough time with your broker, you are always free to swap your broker with anyone in the industry. Given here is a list of top 10 Forex brokers who are rated best in the industry. You can open a trading account with any of the brokers over here and continue your dream of making money online in the Forex business. If you don’t want to get caught in Forex broker scams, you must be aware of certain things like Forex fundamental analysis, money management, trading psychology etc. You need to find out whether your choice of broker is a registered future commission agent. Avoid those merchants who deal with affiliates. The broker must be having a substantial asset not less than $250,000 as recommended by NFA. If the merchant is providing re-quotes couple of times a year, you should know that there is something fishy out there. You should know that most of the Forex broker scams are committed by firms that are located in Southern California or South Florida. Russia has also emerged as one of the top destinations for online Forex frauds. A trustworthy broker is someone that offers the money back guarantee program if you are not satisfied with the overall service. This shows that they are responsible agencies and are willing to acknowledge about their wrongdoings as well as they take the initiative and commitment to do well by correcting themselves. You need to stay away from those merchants that are located offshore, in 3rd world nations or brokers who don’t specify their state or residence. This is one of the most important factors that you need to pay special attention to. If your choice of broker is having the aforementioned characteristic trait, you are advised to look somewhere else for another broker. In the second place, you need to do proper research for your choice of Forex broker. 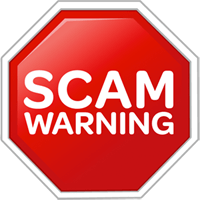 Try to read as many reviews as possible and visit Forum websites to join such conversations on Forex broker scams. Find out whether they are affiliated with any regulatory agency like CySec and FCA. Ask any fellow trader who has had business with the respective broker in the past. Don’t let greed take control of you. If you have chosen your choice of broker, you need to go slowly. Open a trading account with not more than $100. It will help you having a big leverage and prevent heavy losses if the broker turns out to be a fraudulent one. Remember that a small account will prevent you from getting ripped off without a big penalty. One crucial point in selecting a broker is the spread they charge. The spread is actually the difference between buying and selling price. Bigger is the spread, greater is the exchange rate. If your broker is charging spreads as high as 5-6 pips, you need to simply run away from them. Sometimes the online scams in the FX market are nothing more than the traders unable to comply with the trading guidelines and they blame their broker concerned in return for the losses so incurred. But in most of the times, the Forex broker scams are because the merchant is at fault. As a trader, you are advised to do proper research and background checking of the merchant concerned before you commence trading. You should deposit little money initially and if you are satisfied you can then increase the trading amount. It is to be noted that a reliable broker is more than 50% responsible for generating income on the part of the trader. So if you have got a trustworthy broker by your side, half the battle is won. So you need to tread wisely and do thorough research before you can arrive at your choice of Forex broker. Just to summarise – investigate, interrogate and cross-examine before you jump to your favourite broker. Keep your friends close but your Forex brokers closer for a glorious career in the financial market!